The internet marketing field continuously evolve from month to month making a significant impact on different businesses. It is an effective medium to propel oneâ€™s business to greater heights. But the strategies that worked last month may not work well today. With the tremendous advancement in the field of digital technology it is important to keep pace with the latest trends to achieve online success. At SMX East this past October, Mark Traphagen gave a presentation titled, “Putting the SEO Power of Google+ to Work.” The centerpiece of that presentation was a study that seemed to confirm the hypothesis that Google+ profiles and pages gain authority for ranking in Google Search in much the same way regular web pages do. In How Google Plus Profiles and Pages Gain Search Authority article, you’re going to find that presentation and the full case study. A couple of months ago Matt Cutts said he would be surprised to see an update to Google Toolbar PageRank by the end of this year. Despite of that, Google just updated their Toolbar PageRank values. It’s always a big deal in the SEO community with Google releases of this kind of updates. Only this December 2013 update is of particular importance because no one saw it coming! As you do with Google, it’s time for you to take advantage of connected profiles in #Bing Webmaster Tools – they’re releasing the Connected Pages feature. Currently, you can connect a wide range of page types to your verified website, provided that they contain a link that points back to your verified website (the main URL), or at a minimum – page that lives on your main website. According to The Wall Street Journal, the mighty Apple paid more than $200 million to acquire Topsy, a startup offering search engine capabilities for Twitter and other social sites. That’s the second buy of a social search in two months. In October, Apple reportedly paid somewhere between $40 million to $60 million for app maker Cue. 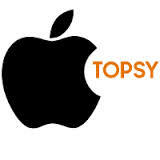 Industry executives said it was unlikely that Apple and Topsy would have agreed to a deal without Twitter’s blessing. A Twitter spokesman declined to comment – Topsy didn’t comment. So what’s the catch? Google began as a search engine, but now they offers a social network, it’s own mobile environment, and even it’s own phones. Facebook was originally a social network, but now it does search, and yes, it too offers it’s own mobile operating system. Both are also into the ad industry. Apple is building a similar empire – just from the other direction. Ads could very well become a big business for Apple. We need to see #Apple as a new tech empire, something that will rival every bit of Google and Facebook! The dream scenario for most online businesses is to get the highest possible lift with the smallest possible investment in optimization. The obvious way of making this dream come true is to implement small, simple changes that have a significant affect on conversions. Identifying such optimization opportunities can be really, really difficult. Read more on Small Changes That Have a BIG Impact on Increasing Conversion Rates. There are many useful Excel tips for PPC out there and even more general Excel help forums offering all sorts of suggestions for formulas, reference sites, etcetera. It’s all great stuff, but one of the things I’ve had trouble finding lots of info on is reporting templates for PPC. For those savvy in Excel, it’s fairly easy to use the formulas and tips you find online to build yourself a clean report. Rather than pay a third party to make your reports for you, which costs lots of money and adds a potentially clumsy middleman, you can learn to do automated reports yourself and become the office hero. December is a special time of the year – the season for shopping, eating and holidays – but itâ€™s also the most challenging time of the year: budgeting and planning season. How are we supposed to predict what’s going to happen, by month, for an entire calendar year?! Have no fear! Google Keyword Planner and Bing Ads Intelligence tools give you the data you need to plan your PPC budgets. Here’s a strategy (and a shiny excel template) to help you easily appease your boss or client – Planning Your 2014 Budgets With Search Trends. With 89% of consumers planning to use the internet to help with holiday shopping this year, Google Shopping is getting yet another face lift. Search engine results will now include Better browsing, shortlists and 360 images. Read the details here. Bing Ads is becoming more competitive with Google by the day. And now, you can capture more customers by using Broad Match in your Bing Ads campaigns. Many advertisers continue to use Exact Match, and have had much success, but trying to find every keyword that users will search on that’s relevant to a business in real time is virtually impossible. Using a mix of Exact and Broad Match allows you to capture new and existing volume thatâ€™s not possible through exact match alone. Check out the details here. What did America search for in 2013? 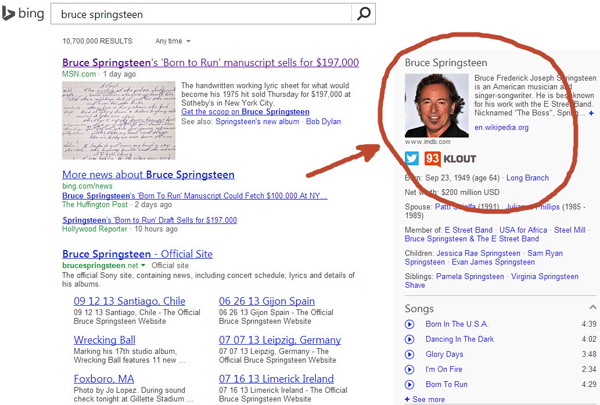 Based on the aggregation of millions of search queries, Bing unveiling the top search trends of Americans in 2013. From the beginning of Klout, they’ve been focused on helping people better understand and be recognized for how they influence others. Through an ongoing partnership with Bing, they are taking another step in connecting search with influencers, by introducing Klout-verified Snapshots on Bing. Search is one of the most common ways that information about you is discovered by other people. Snapshots on Bing enable anyone who signs up on Klout to verify and manage how they appear in Bing search results, based on their public social network profiles. You’ll be able to share your professional accomplishments and highlights, as well as your most influential moments on Instagram and Twitter, when people search for you on Bing. When Bing recognizes your name in search results over on the right they will display a “See results for” section. This section displays your name, a profile image and current score in Klout. Clicking on this link will direct users to Klout account. Pinterest works on it’s own time table. They said that it’s first API will help stores and brands display which of their items were most frequently and recently pinned. So, basically, it’s a most-popular widget that Pinterest promises will help sites keep freshly updated. Next, Pinterest said, it will give sites more ways to mash up their data, like most-recent and related pins, and adding information about which items and keywords are trending on Pinterest into their search engines. At an event at Pinterest HQ in San Francisco, CEO Ben Silbermann announced that the company would introduce new ways to plan trips. “We’re excited to inspire you to go out and do things,” Silbermann told the audience. The new product, called Place Pins is designed to help users provide a visual guide to finding places to go and things to explore. Facebook has sent unprecedented levels of traffic to publishers across the internet in recent months, a dramatic and unexpected increase affecting a large range of sites serving a wide variety of content. According to data from the BuzzFeed Network – a collection of sites including more than 200 publishers such as The Huffington Post, TMZ, The Onion, and Slate, with more than 300 million users each month – traffic from Facebook referrals to partner network sites are up 69 percent from August to October of this year. The increase comes as Facebook is competing with Twitter to be seen, and used, as a vital news source, and appears to be the result of changes to how news links perform in the News Feed. In short, Facebook appears to have broadly shifted it’s algorithms and to create formidable new traffic streams that simply weren’t there just weeks earlier. LinkedIn is announcing a new feature called a Showcase Page that will allow businesses on the professional networking site to target the fans of a specific product or brand. David Thacker, the company’s vice president of marketing solutions products, said that when companies with a number of different products are trying to discuss all of them from a single page, it can become “a little bit overwhelming” for followers who aren’t necessarily interested in all of that content. The inevitable has occurred. Another restaurant in Seattle, Washington, has banned Google Glass from its establishment due to privacy concerns. The first restaurant to do so earlier this year was the 5 Point Cafe. Now the Lost Lake Cafe And Lounge (co-owned by the owner of the 5 Point Cafe) has also banned Google Glass, citing an incident with video teleconference network engineer Nick Starr. Read more – Google Glass Banned From Restaurant After Glasshole Tries To Get Employee Fired. The 411 Pro Theme post information for your audience with a spectacular background, clean navigation, and post boxes that stand out proudly to give your content the visual gravitas it deserves. And your site won’t just impress on desktop computers. The 411 Pro Theme is mobile responsive – so your site will adjust to any screen to display the information your audience demands exactly how they want to see it. 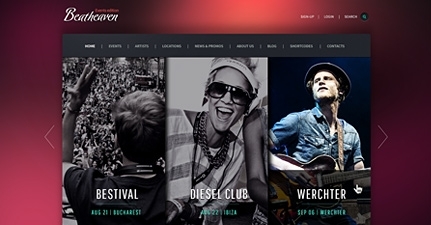 Beatheaven – this music WordPress theme was built with an artist or event website in mind. It comes with a lot of features and a bunch of specific pages like artist, albums, locations, events and more. It doesn’t matter if they use desktops, tablets or smartphones, your visitors will enjoy the same remarkable experience. All the elements scale and resize depending on the device the website is viewed on. Include the TheFuse WordPress framework to help your website reach a higher page ranking on search engines. The Christmas countdown has begun, and while stores are playing Jingle Bells and homes are decorated with colorful lights and the sweet smell of pine trees, there’s no reason why you can’t deck your WordPress site with boughs of holly. Here are 15 Free WordPress Plugins to Add Christmas Cheer to Your Site. #WordPress has well and truly surpassed its origins as a blogging platform. Although still the option of choice for many bloggers, the range of different types of sites using WP seems to be growing every day. With more and more themes and specialist plugins entering the marketplace, using WordPress for your site has never been a better idea. Once such type of site which has been well served by the community are those for restaurants. With a great selection of themes designed especially for building this type of website, along with a range of useful plugins for restaurants, now has never been a better time to build, or overhaul your business website in order to take advantage of the latest affordable functionality on offer. So it’s time to discover How To Manage Restaurant Reservations Online with Free WordPress Plugins. 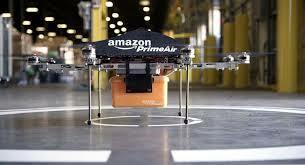 It was very HOT when Amazon release it’s PrimeAir service using a drone. Now I have to say, forget #Amazon drones: Google is working on robots that could one day deliver items to it’s customers! The New York Times reports that Google has acquired seven robotics companies in the United States and Japan to help build a “new generation” of robots that would potentially be able to automate the electronics assembly process or even help with Google’s same-day delivery efforts“. The man behind this initiative is Andy Rubin, the former head of Google’s Android division, who stepped down from that role in March. At the time, Google’s CEO and co-founder Larry Page suggested that Rubin would be working on another “moonshot” project – Google’s word for a seemingly impossible idea. 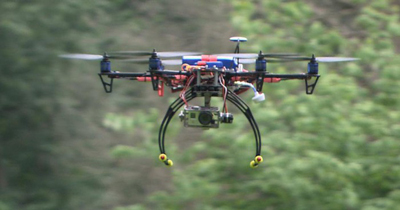 Begun the Drone Wars has! When you rely on real people in a certain geographic market to provide your income, I don’t find a lot of online tools can help my business. However, there are some great ideas here, that I can use to optimize those prospects that follow me at present, and expand that group. Thanks for you research on this. The Pinterest API is a very good idea. 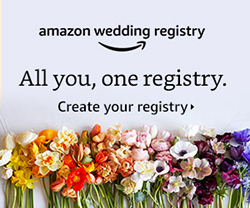 We have always been skeptical about certain soical sites, considering our Moving and Packing business model, but this would be a very good idea to link our constant customers and us. Thanks for your detective work! It’s great to come across a post like this. Normally, one just reads items about this or that social platform has peaked and is on the way out. Reading how companies are retaining and growing their base definitely gives you a better perspective. Pinterest, especially, has grown to incredible heights since this was written. great Post! Klout appears to have stopped being a ‘darling’ of the Social Marketing community. Does it still have the same cache, that it did 6 months ago, when this post was published? Great tips, here, by the way – thanks. Is it true that using a template service like “411 pro theme”, you run the risk of losing Google placing, because the hosting company gets it all? Things may have changed recently, but I always thought that that was the case. No and yes Michael, but that’s depend! 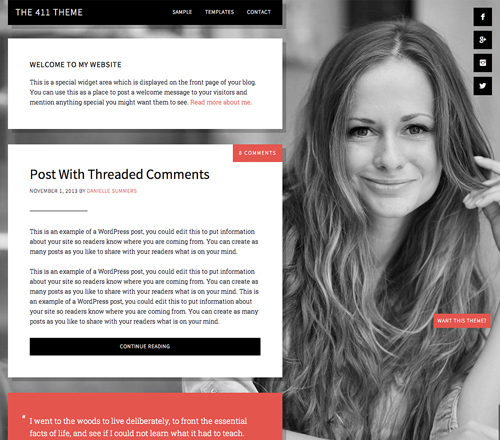 A WordPress theme it’s just the “face” of your website, what people see when they stop on your site. What can do a hosting company depends on what hosting plan do you use. If you use a free plan, it might be true on certain circumstances, that’s why you need to use a pro hosting. Read more about hosting truth here. Hi Val, are you continuing to post these updates? I have missed your advice over the last few 3-moth periods. It’s fun to look at what was important to us a year ago, and how they have changed over the intervening 12 months. I’m looking forward to this December’s post! Thanks for the updates, Val. I loved the link concerning small changes. They can certainly make big changes for both good and bad. Do these tips still apply in the current climate of Google algorithm changes and updates?